About a year ago I got myself the gift of a sewing machine. I had always wanted to learn how to sew but always felt a little intimidated by the idea. I thought there is no way I’d be able to make mine look like the professionals did. Last Christmas I wanted to add some color to our Christmas dinner table. First, I decided to go on the hunt for some napkins. I figured that would be an easy way to add some color to our Christmas dinner table. The image I had in my head was something with a vintage look with the color red. I searched all over, however, I couldn’t get over the image of what I wanted in my head. That’s when I made the bold move to buy my first sewing machine and make my very own Christmas napkins. The adventure was much easier than I thought it would be and I got to have the perfect color and design that I wanted by being able to pick out my own fabric. This step is one of the best parts. Being able to pick out just the right colors and pattern that you want to add to your beautiful holiday table decor. I went with a simple red and cream thin striped pattern. Start by deciding how many napkins you want to make. Then determine the size you want your napkins to be. When determining how much fabric to purchase you will need to include 1 inch extra on all 4 sides of the square for sewing. For example, if you want to make a set of 14 holiday napkins that are 26 by 26 inches square for formal napkins. You will need to cut out 14 squares that measure 27 by 27 inches square. Before I knew about the different etiquette size of napkins I decided to make mine 16 by 16 so I cut my fabric 17 by 17 adding the inch to allow for sewing. The most common width for fabric today in the United States is 54 inches. However, this can vary so make sure you double check the width. With a 54 width fabric, you could fit two napkins 27 + 27 = 54. There are 36 inches in 1 yard of fabric. 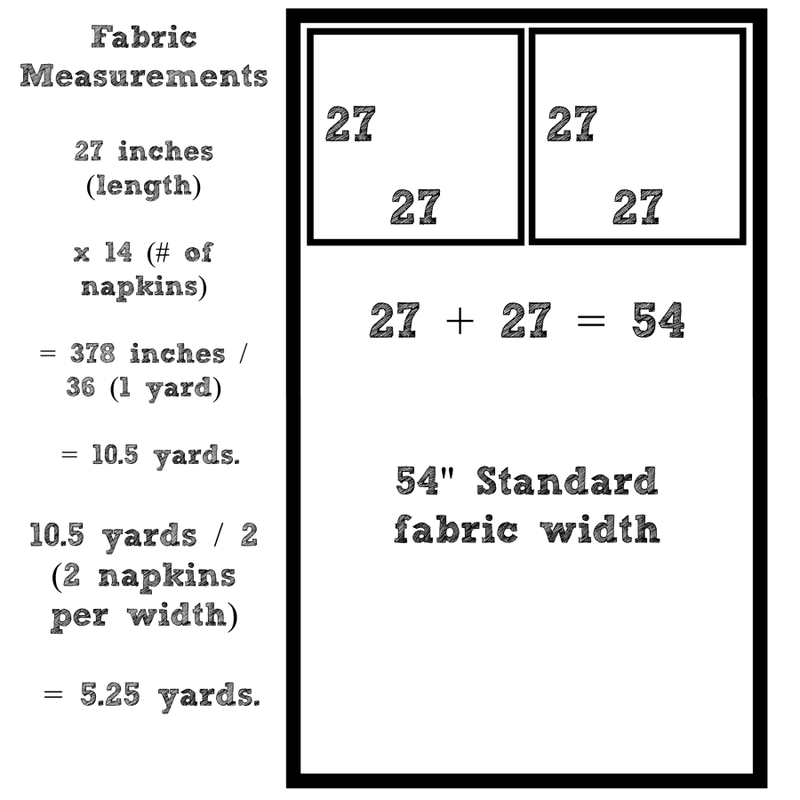 Take 27 inches (length) x 14 (# of napkins) = 378 inches / 36 (1 yard) = 10.5 yards. 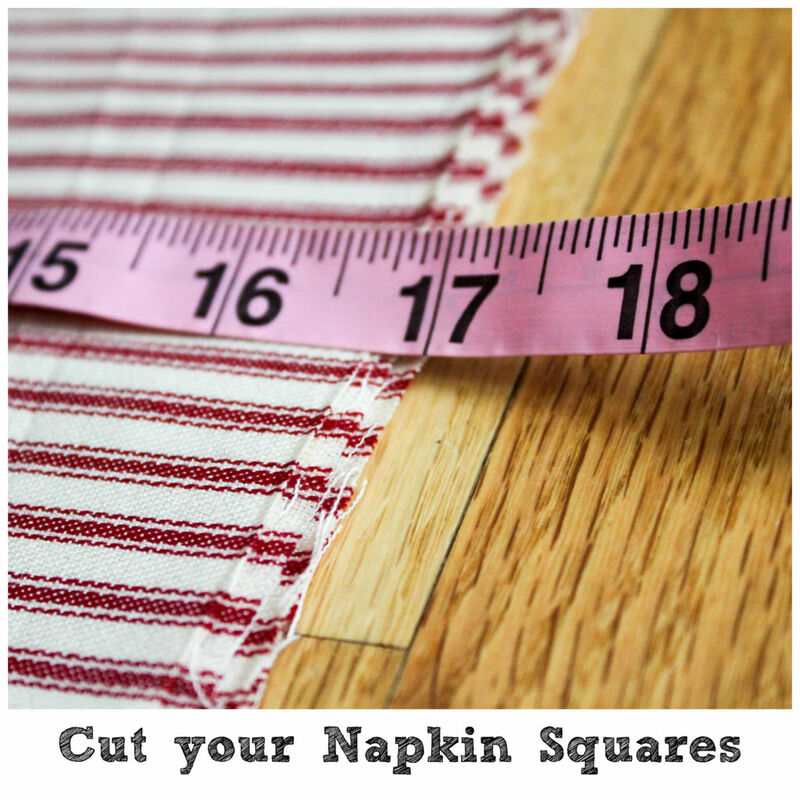 Take 10.5 / 2 (2 napkins per width) = 5.25 yards. 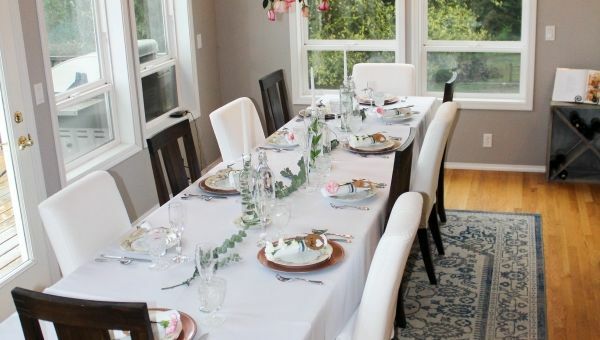 You will need 5.25 yards of fabric if your fabric width is 54 inches and you want to make a set of 14 napkins that are 26 by 26 inches square. 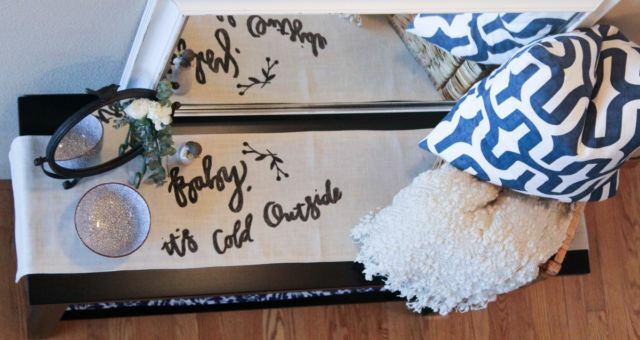 Flip your fabric over with the design side facing down and the backside facing up. 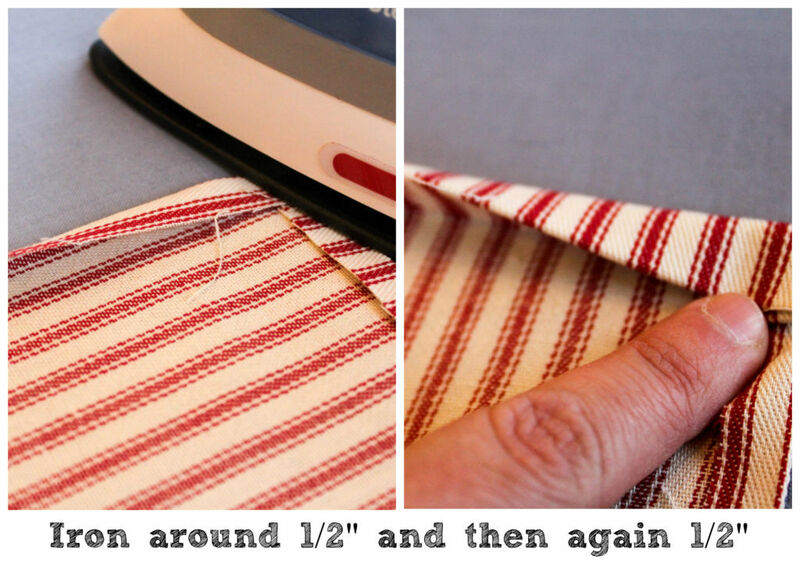 Using a ruler measure out the size of your napkins add 1 inch to account for sewing. Mark it with a pencil. For example, if you want 26 by 26 inches measure out a 27 by 27 inch squares. Then cut out the fabric. Place the fabric with the design side down and the backside facing up on the ironing board. Then going around the square iron the fabric 1/2 inch over. Then go around the square again ironing another 1/2 inch over. 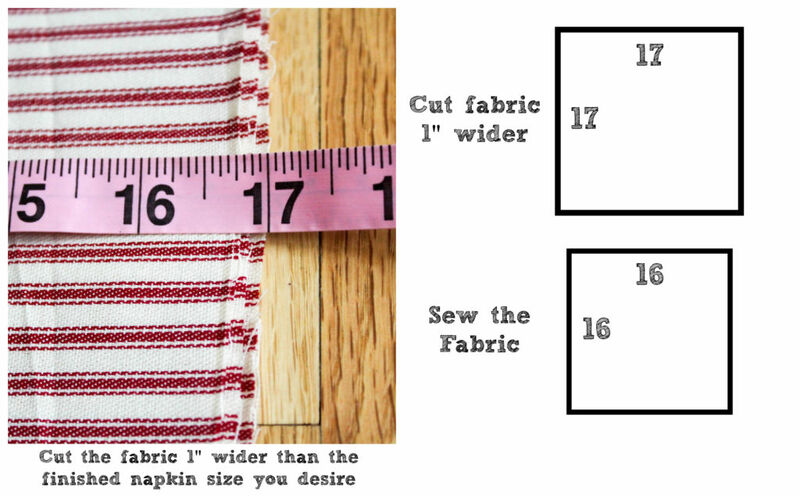 Your fabric should now measure the size you wanted. For example, the square should now measure 26 by 26 inches. 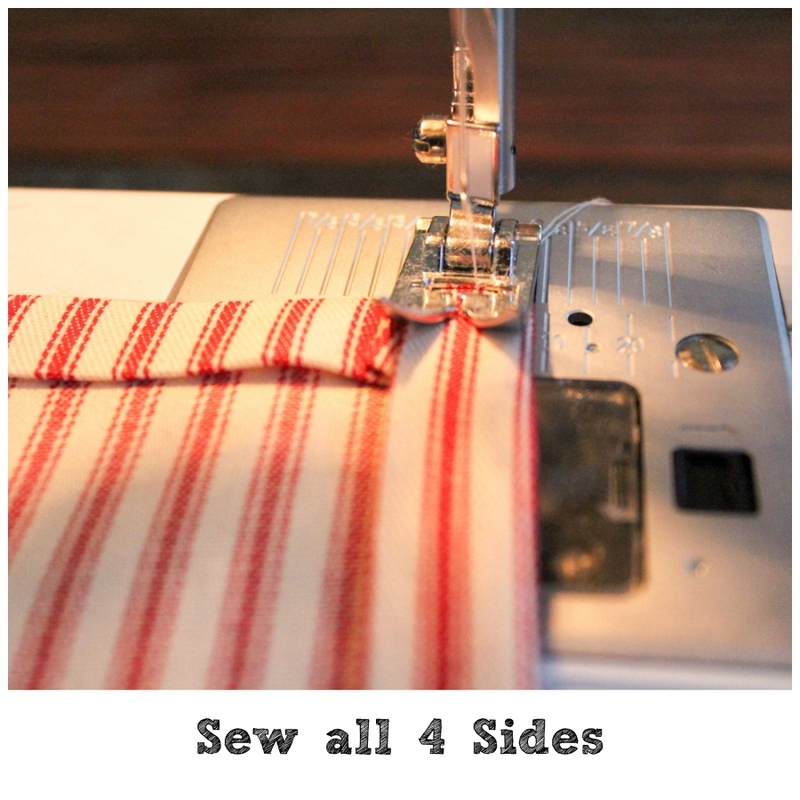 Sew all four sides of the fabric. 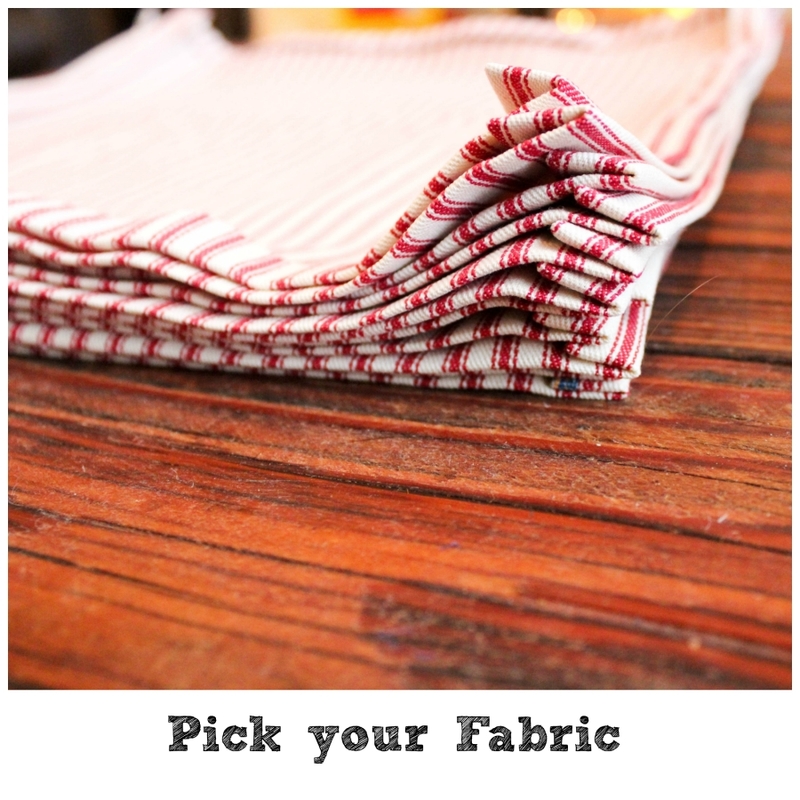 Iron your new holiday napkins removing any wrinkles. 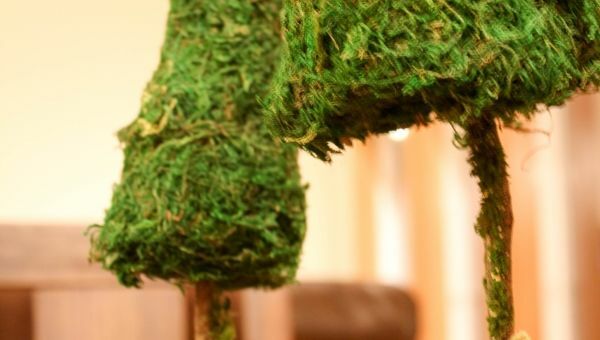 You’re now ready for your first holiday party of the season! 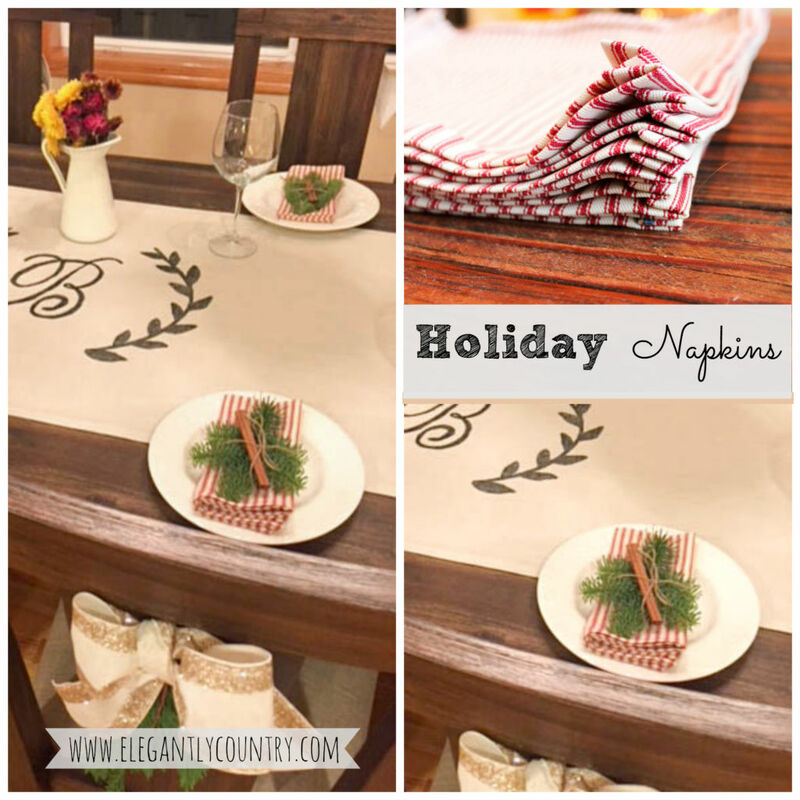 Throw out your boring paper napkins this holiday and make your own napkins to brighten up your holiday dinner decor this holiday season. 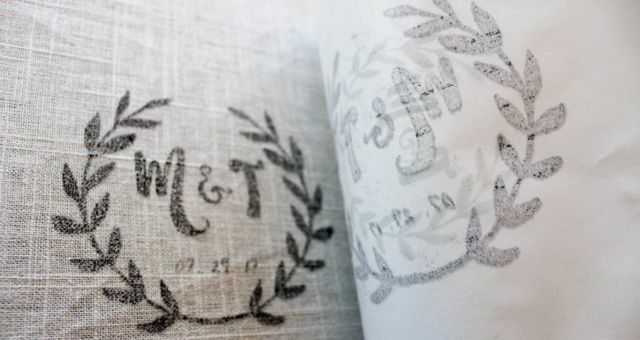 Update and brighten your whole holiday dinner table decor with hand-crafted napkins.